On 10-11 April EU Environment ministers are meeting informally in Sofia. On Wednesday 11th, they will discuss climate and energy issues: specifically, the Paris Agreement ​rulebook ​and the Talanoa Dialogue* (see agenda). While it’s an ‘informal’ Environment Council, it will be crucial in setting up Member State positions on the Paris Agreement on climate change ‘rulebook’ and the Talanoa Dialogue* ahead of the formal Environment Council in June. It also comes at a time of increased EU momentum on climate: it’s the first relevant EU meeting since Heads of State and Government called for a long-term EU climate strategy in line with the Paris Agreement last month. It’s a chance for ministers to build on that request, as well as to commit to developing their own long-term climate plans. 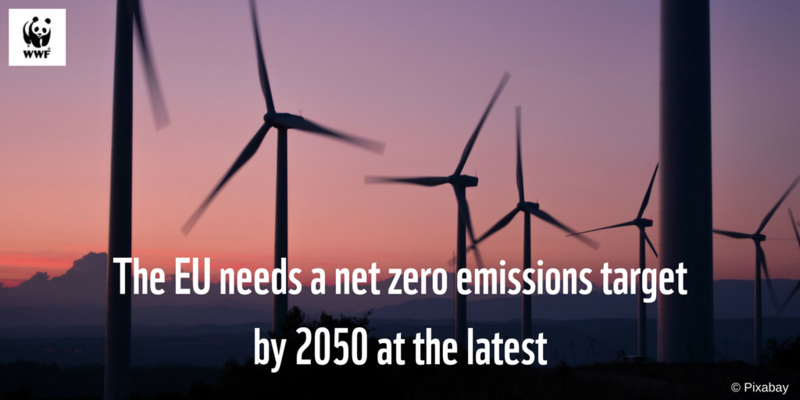 Progressive Member States such as the Netherlands and France have now also said that the EU must increase its 2030 climate and energy targets and this is an opportunity for them to reinforce their support. The formal EU Environment Council will take place on 25 June 2018. Also, although this is not officially on the agenda, the meeting is also an opportunity for EU Environment Ministers to address the controversial issue of planned development in Bulgaria’s Pirin National Park. WWF is asking them to call on the Bulgarian host government to live up to its legal commitments under the EU Nature Directives and protect this Natura 2000 area and UNESCO World Heritage Site from illegal logging and construction. Following a series of demonstrations across Bulgaria and European capitals, campaigners will also be present at the Council building in the morning of 10 April. *For an explanation of the rulebook and Talanoa Dialogue, please see below. 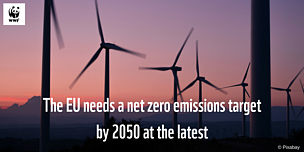 Which EU countries support a more ambitious EU 2050 climate target? So far, only France and the Netherlands openly support more ambition at EU level than the current 80-95% emissions reduction target. Others like Portugal, Germany, Sweden, Luxembourg, Belgium, Denmark and Slovenia are also in favour of an ambitious long-term strategy. To date, only three EU Member States have submitted their own long-term emissions strategies to the UNFCCC portal: the Czech Republic, France and Germany. What is the Paris Agreement ‘rulebook’? The aim of the ‘rulebook’ is to standardise the way countries account for and report on their climate pledges. The rulebook needs to be done by the end of 2018, according to the Paris Agreement's timeline. The Talanoa Dialogue (formerly the ‘Facilitative Dialogue’) came out of the Paris Agreement. It was primarily set-up to begin a ‘stocktake’ of efforts to reduce emissions. The Fiji COP Presidency added the extra element of bringing a range of stakeholders into a discussion as to what must be done. It tries to answer three questions: Where are we? Where do we want to go? How do we get there? In 2018, the EU is expected to hold two regional Talanoa Dialogue meetings with stakeholders, alongside the UN Talanoa Dialogues (June 14th and October). Other EU institutions will be holding meetings in the Talanoa style including the European Economic and Social Committee on April 23rd. WWF believes the Dialogue can play a critical role in helping increase climate ambition. The Talanoa Dialogue is an opportunity for participants to show their progress so far, highlight ways to reduce emissions further, and encourage national governments to add more ambition to their climate plans (‘Nationally Determined Contributions’ or NDCs). BEFORE COP24: The preparatory phase of the Talanoa Dialogue should engage a wide range of parties and stakeholders, thereby raising awareness of the need for accelerated action and greater ambition, so that decision makers at COP24 are sufficiently motivated to produce concrete outcomes from the dialogue. The second should highlight that there are opportunities to leverage untapped mitigation potential, as shown by the solutions presented during the Talanoa Dialogue sessions and summarized in the synthesis report, with direct links to the UN Sustainable Development Goals (SDGs) and the Convention on Biological Diversity (CBD). The third should state that Parties resolve to revisit their NDCs through appropriate domestic processes by 2020 with a view to leveraging those opportunities, increasing climate ambition and contributing to closing the ambition gap and provide needed support for this. This paragraph should further state the Parties also resolve to ensure that those sectors that are not typically covered by NDCs, such as international aviation and shipping, are taking steps to deliver their fair share of emissions reductions to meet the Paris Agreement’s temperature goals. AFTER COP24 and by 2020, national governments should undertake domestic processes of revision with non-party stakeholder input in order to leverage domestic opportunities for increasing NDC ambition and to put the world on track to stay below 1.5°C and concurrently build resilience to climate impacts. AFTER 2020, the Talanoa Dialogue informs, inspires and sets a high bar for subsequent Global Stocktakes, as part of the ongoing 5-year ambition cycle. What is happening in Pirin National Park? The park, which is a Natura 2000 area and UNESCO World Heritage Site, is threatened by infrastructure developments. These have been authorised by the Bulgarian government despite the fact that it’s in violation of European environmental legislation. Late last year, the Bulgarian government adopted amendments to the current management plan of Pirin National Park. These would allow construction to take place on up to 48% of the territory of the park. Crucially, this decision was taken without carrying out a Strategic Environmental Assessment, as required by EU law. The planned building work will cause irreversible damage to the park’s outstanding universal value. For three months now, thousands of citizens across Bulgaria and Europe have been protesting in the streets against the governmental decision. On 10 April, groups of campaigners will stage a further action in Sofia as ministers arrive for the informal Environment Council.